Next race: March 31st, Road Atlanta, Brasselton, GA. The race is scheduled for Saturday at 1:30. We will have a hospitality tent set up at turn 10, look for the Buckeye flag. Bring a picnic and your favorite beverages and enjoy the best club racing anywhere! 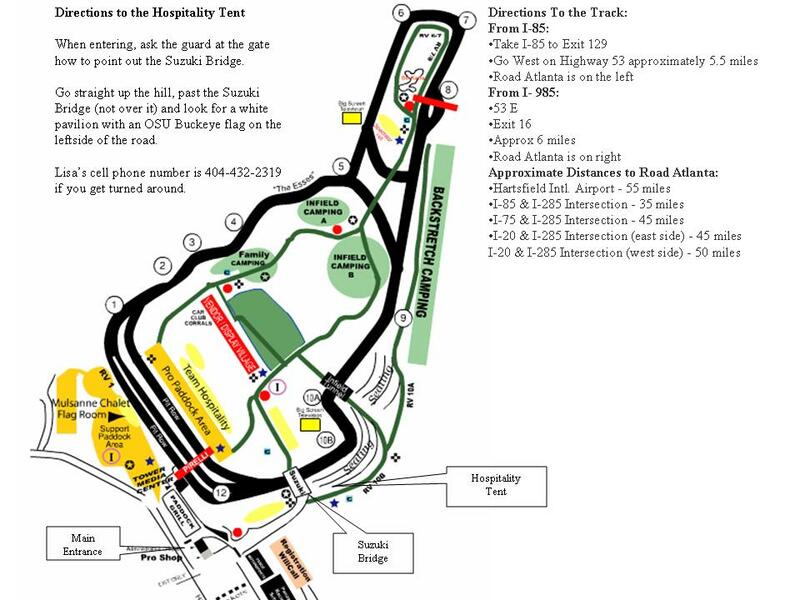 Road Atlanta Directions and track map.